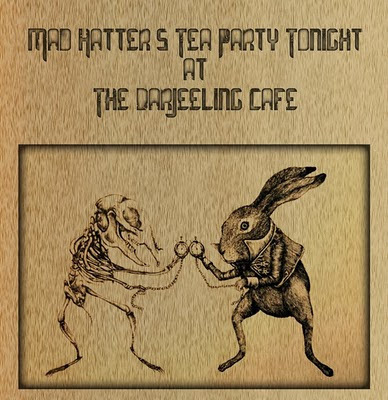 There's a Mad Hatter's Tea Party going on at the Darjeeling Café tonight. The idea is that you come drink some tea and hang out a bit, then go to the Visulite, where they're showing a midnight matinee of the new ALICE IN WONDERLAND movie in 3D. MAD!